German Urban Wave Take ONE of The Kalifornien Projectile: Frontier Walker. “Frontier Walker” was recorded on October 2nd during a live session at Playa de Tijuana – directly at the border to the United States. 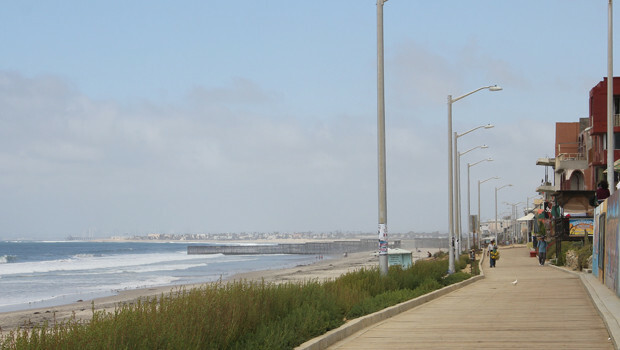 The border – or la frontera – is part in the everyday life of the people of Tijuana. Certainly for them the border constitutes a symbol of difference and imbalanced relations. But it seems that the wall reinforces their cultural process of identification through pointing out what does belong to them and what does not. The song “Frontier Walker” examines the identity of the German word Grenzgänger: A person that walks along and across borders and limits.